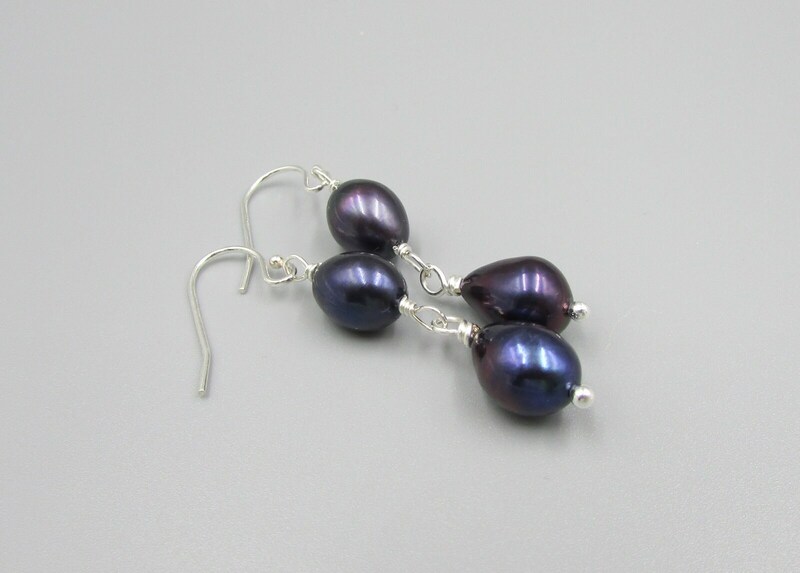 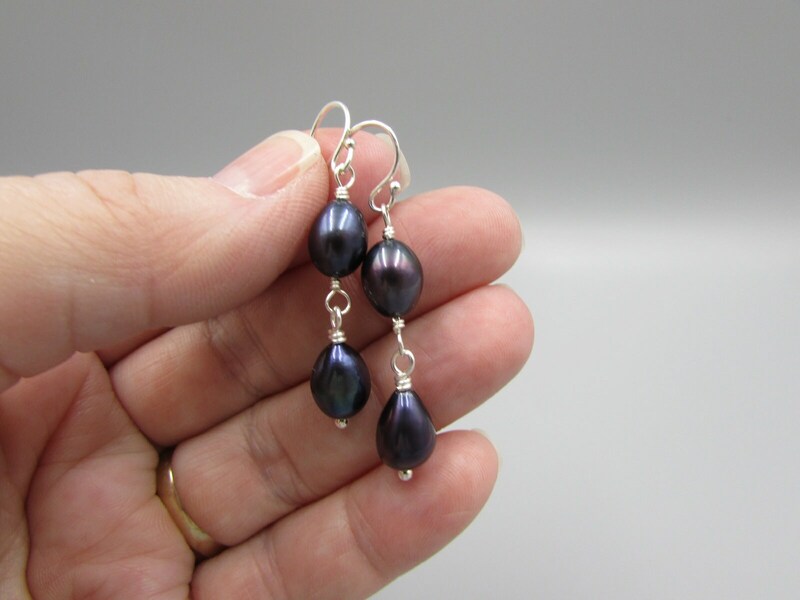 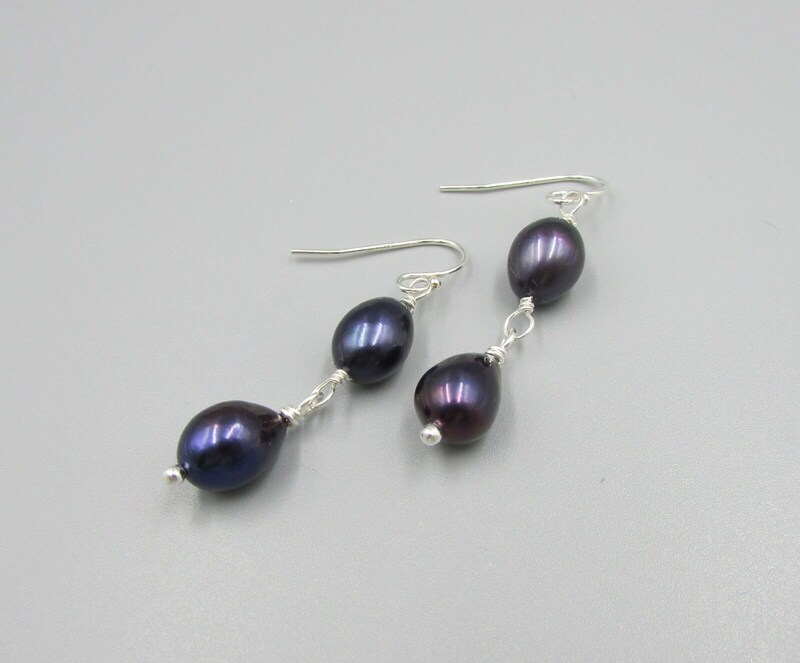 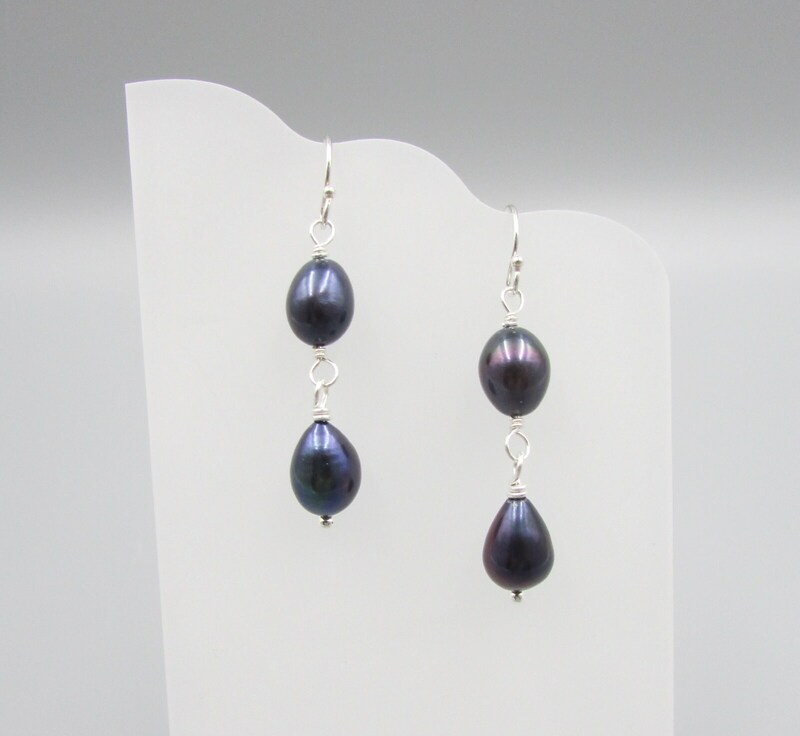 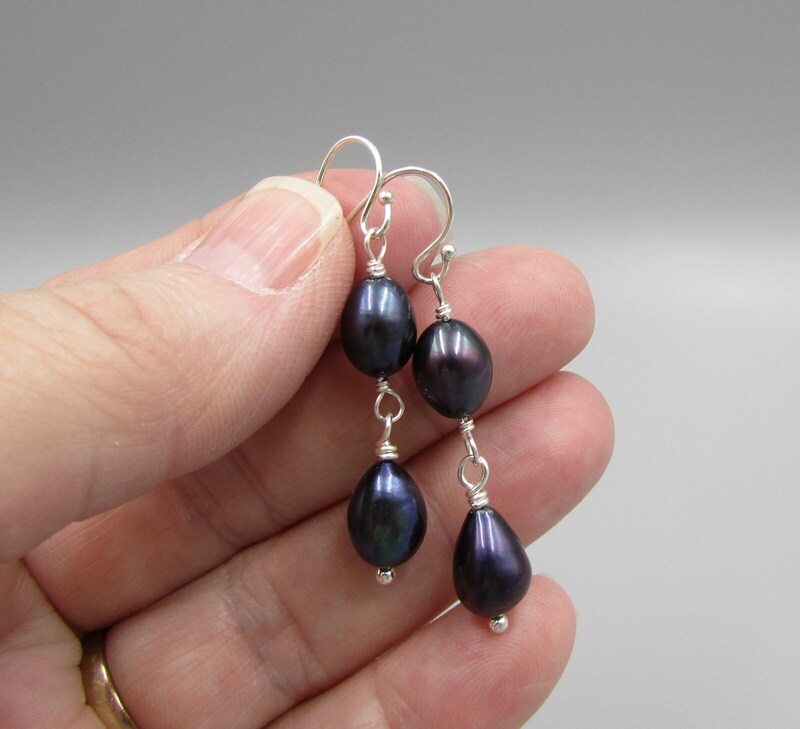 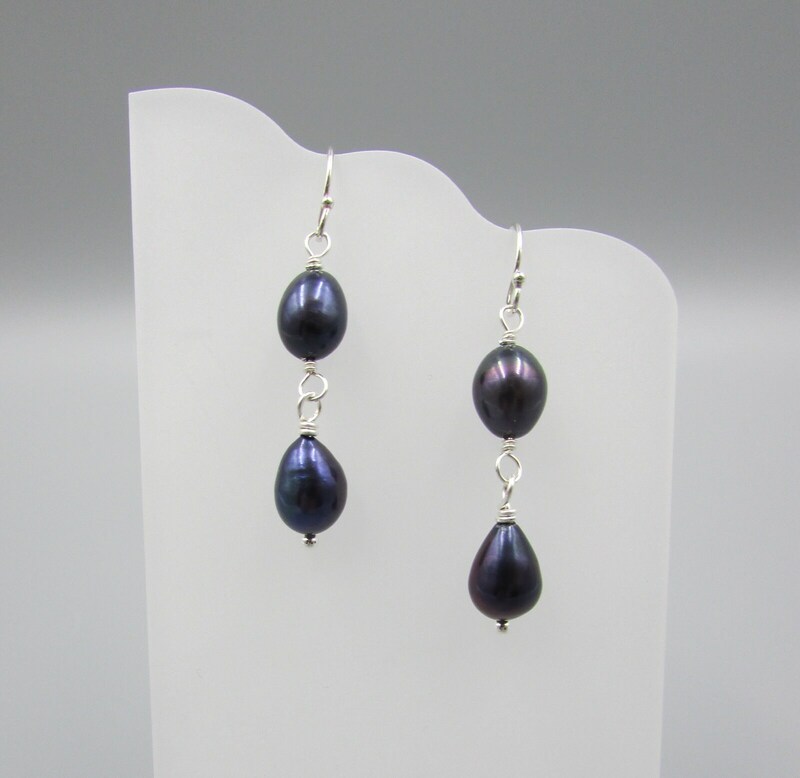 These lovely Peacock Freshwater pearl dangles are made with 6x8mm pearls wire wrapped with sterling silver wire and finished with sterling silver ear wires. 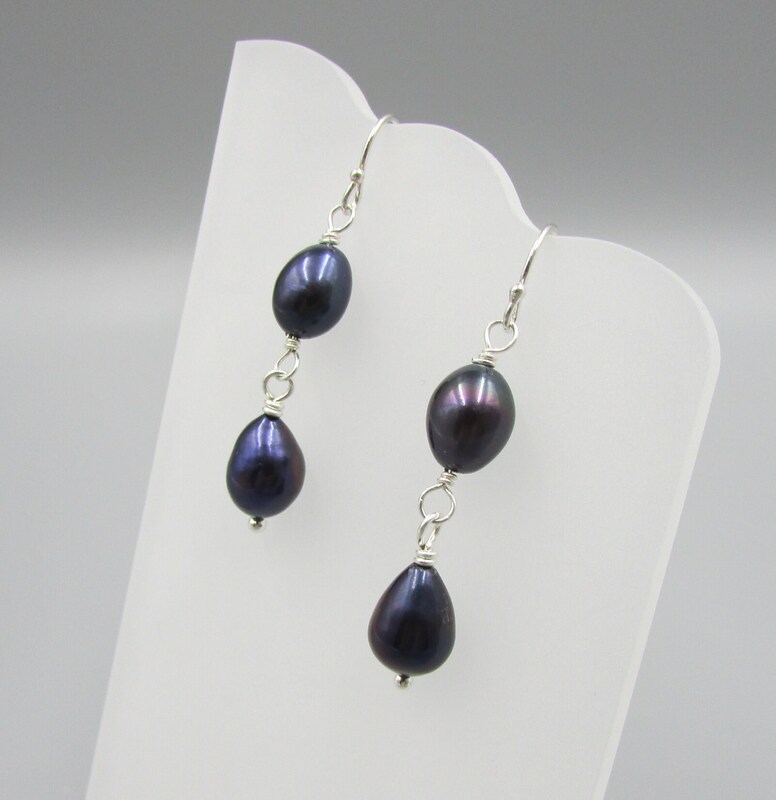 Simple and elegant, perfect for any occasion. 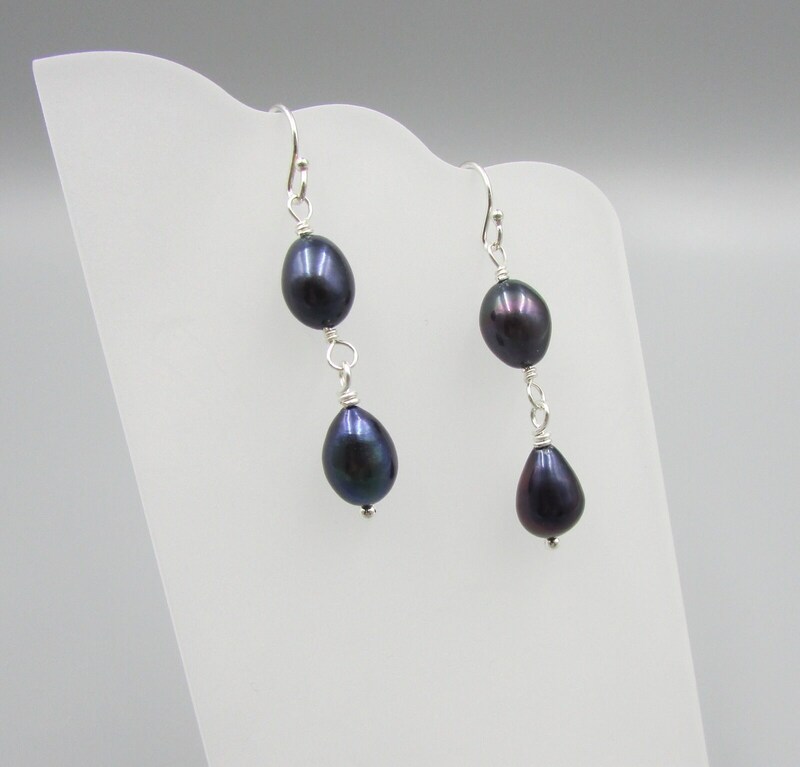 Length is 1 3/4 inches long.